Over the past three plus seasons, there is absolutely no question when the San Jose Sharks were at their most potent. The 2013 Western Conference quarterfinals versus the Vancouver Canucks. Remember this? This series sweep was the last time we saw the Sharks feature the combination of a healthy Raffi Torres and Brent Burns at the forward position. When healthy, these two playing in San Jose’s top nine forwards gave San Jose a one-two punch on the forecheck. Opposing defenders would constantly be having to second guess going back on pucks in their own zone. Both Burns and Torres have good speed and are physically imposing out on the ice. Currently there are studies going into figuring out how to quantify an effective forecheck but there is still the good ole eye test. When Burns and Torres are playing forward for the Sharks, San Jose has the ability to dominate five on five. While forechecking is directly linked to “dump and chase” which is anti-possession, there will always be a need for retrieving pucks. Clean entries into the zone with possession are not always guaranteed. When forced to dump and chase, teams need players who can get in quick and make an impact. Thus far through twelve games, the 6-4-2 Sharks have arguably played only three strong games, and at most they have played just four. While still producing points, the top line of Tomas Hertl, Joe Thornton, and Joe Pavelski isn’t nearly as dominant as the Hertl, Thornton, Burns line or the Pavelski, Thornton, Burns line was last season. There are a number of reasons for this, and as the Neutral of Fear the Fin pointed out to me at one point, the Hertl, Thornton, Pavelski line was lacking speed. Given the fact speedster Matt Nieto looked significantly better in a couple games in place of Hertl on that top line, it’s hard to argue against the Neutral’s position. And like Nieto, Burns brings good speed to that line. As colleague Kenneth Laws wrote a couple weeks ago, Thornton and Hertl will miss Burns on their line. Thus far this season, hard to argue with that notion. The speed and physical play that Burns brought on the forecheck is certainly missing. While Tommy Wingels is a player with good speed and physicality, he is no Burns or Torres when it comes to an intimidating presence. The Sharks don’t know what they will be able to get out of Torres this year (if anything) and seem keen on keeping Burns at defense. However, not having these two up front hurts this team’s ability to put pressure on the opposing team’s defense. No doubt they still have tons of top end talent up front, but there is something absent. For those not as familiar with hockey, a strong forecheck is analogous to a strong running game in American football. In football they say a strong ground attack can open up the passing game and vice versa. The same can be said for hockey. A strong forecheck can open up controlled entries, and executing controlled entries can open up the forechecking opportunities. Torres is to the Sharks like the paprika spice is to deviled eggs. Both the Sharks and the eggs are basically the same without the final touches, but they just don’t pop without that last sprinkle of spice. Torres, as noted here at The Hockey Writers, is far from your typical goon. Throughout his career the first round pick has been a tremendous five on five point producer. Likewise, Burns was accountable for a huge chunk of San Jose’s even strength scoring in his time at forward. 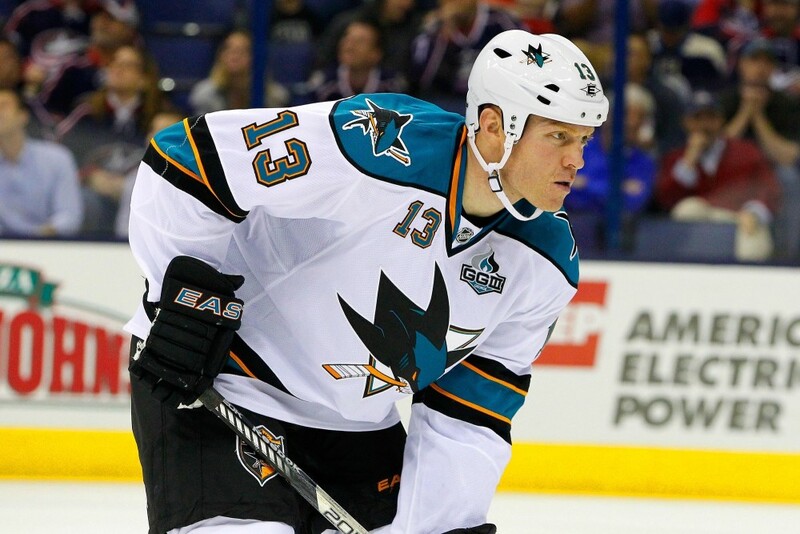 Logan Couture, Patrick Marleau, Joe Pavelski and Joe Thornton are all better players, but they don’t bring the same elements that Torres and Burns bring to the table. In fact, there aren’t many Burns and Torres type players around the NHL. Tremendous scorers who can skate and intimidate physically are a rare combination. Wayne Simmonds in Philadelphia, and Jeff Carter in Los Angeles are a couple of other scoring forwards with good speed and size/physicality up front. There is little chance the Sharks as currently constructed will be able to push for their first Stanley Cup victory. A lot of the ingredients are there, but they are still missing some key spices. Luckily for them they have the cap room come trade deadline to utilize. 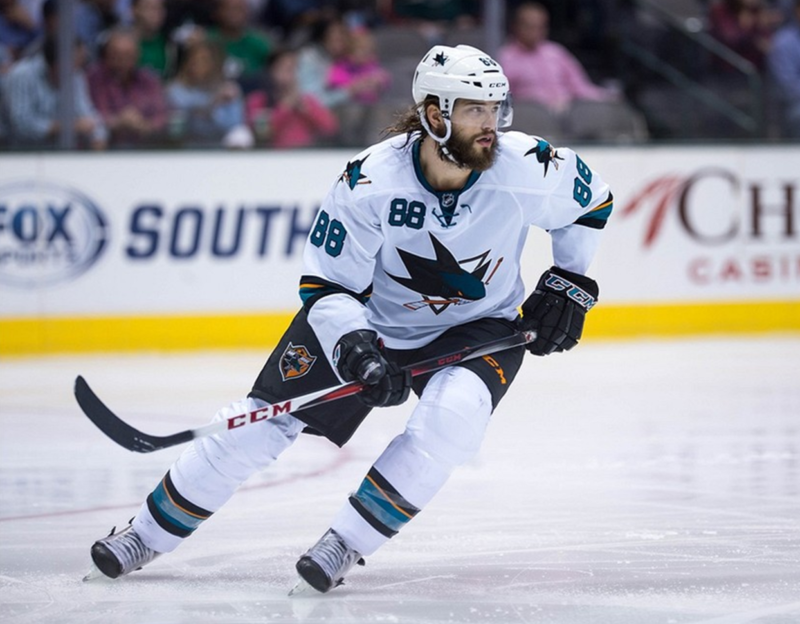 However, with the incredibly rare and effective style of Burns the forward, there is nobody out there the Sharks could realistically trade for to bring the same kind of element to the top nine forwards. There are however, plenty of defensemen the Sharks could pick up at the deadline to add to the defensive depth and allow Burns to move back up to forward. Don’t get me wrong, Burns is putting up the points offensively from the blue-line right now (as predicted) and is an excellent top-4 puck mover. He has also struggled mightily as a defenseman defending his own zone. Given team needs and what could more easily be attained come the trade deadline, it is incredibly surprising to me that the Sharks hockey staff is so convinced that Burns the defenseman makes them better than Burns the forward.